Posted March 31st, 2014 by alexa & filed under Families. 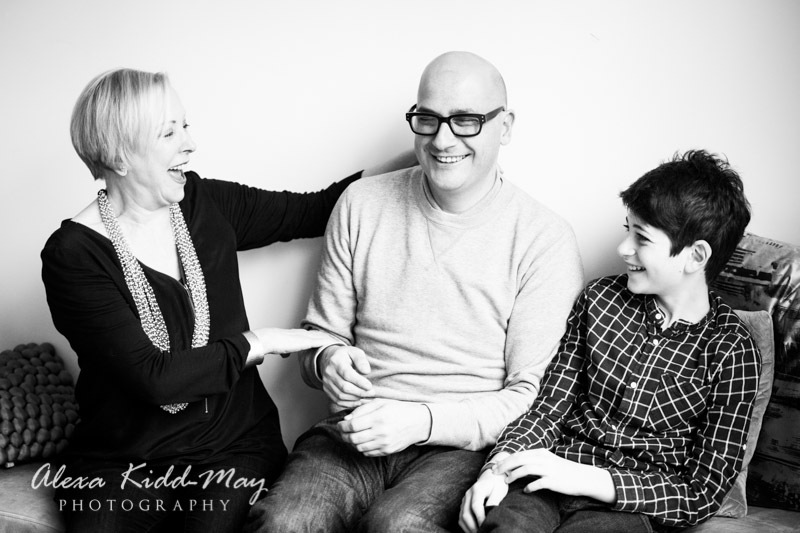 It was lovely to be asked back again to photograph this family for a very special New Years Eve Family Shoot. I’d photographed them before, but this time there was a slightly different line up to be photographed. When I arrived at the family home the joy of Christmas was still lingering in the air and the anticipation of the evening ahead was starting to grow in everyone’s minds. 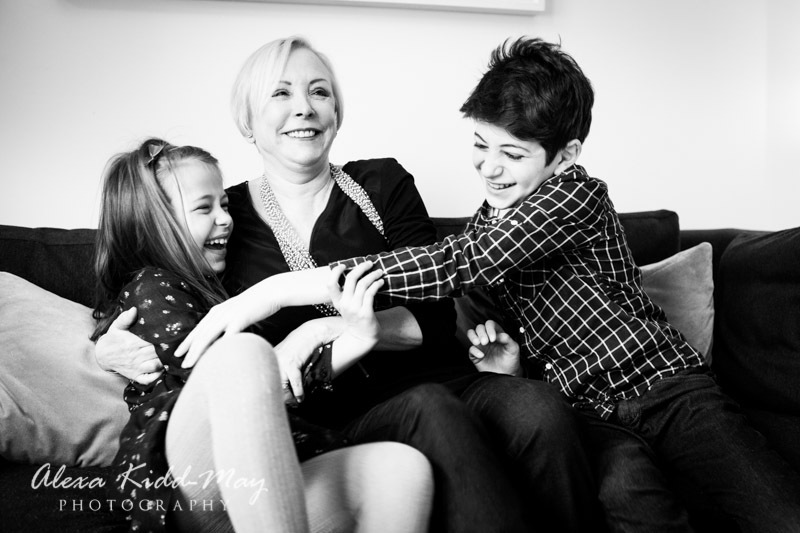 As a result we enjoyed a fun couple of hours mixing up some slightly formal shots with a lot of laughter. 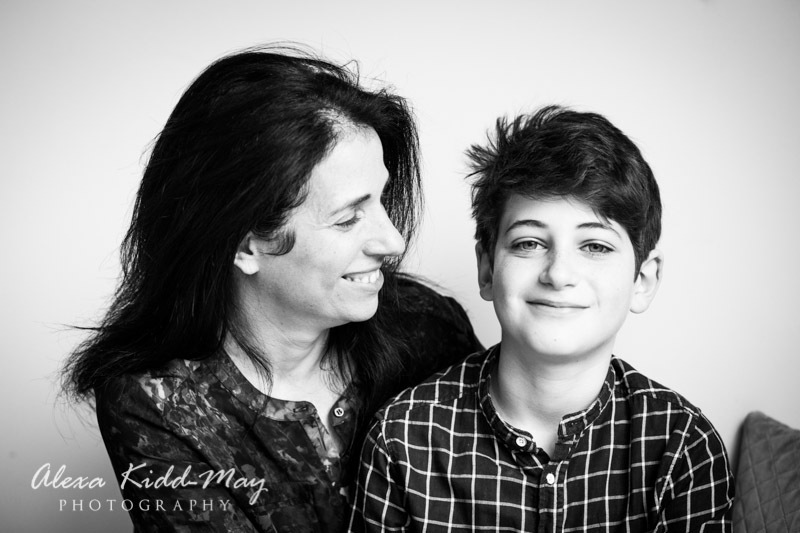 As it was quite chilly outside we opted to do the family photography session indoors. I was really happy about this because the family have a very stylish home! 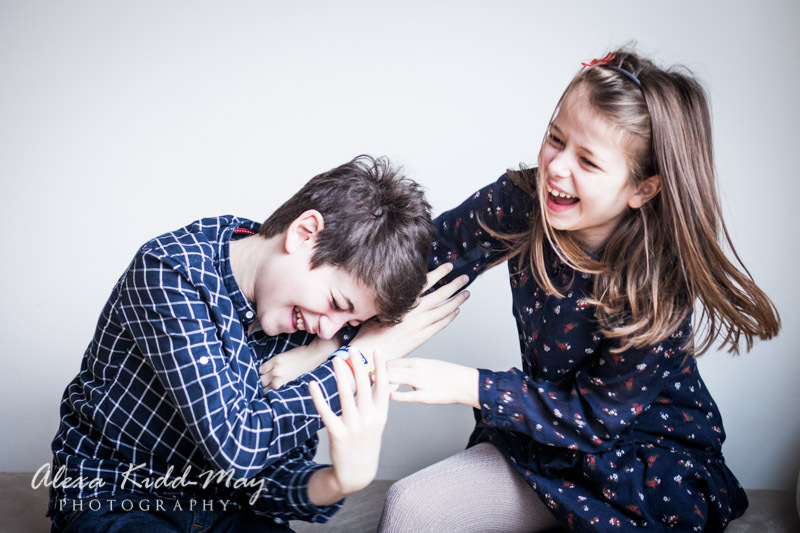 The two siblings spent a lot of the morning laughing, which was perfect for the photos. 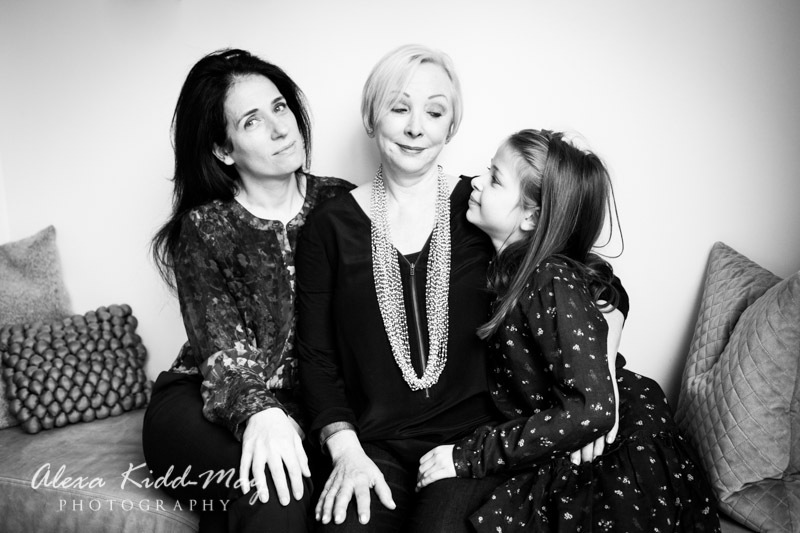 But it was also mixed with some tender moments with their grandma, who they clearly adore. The mum and uncle also joined in the fun. It was lovely to see the different relationships between members of the family. 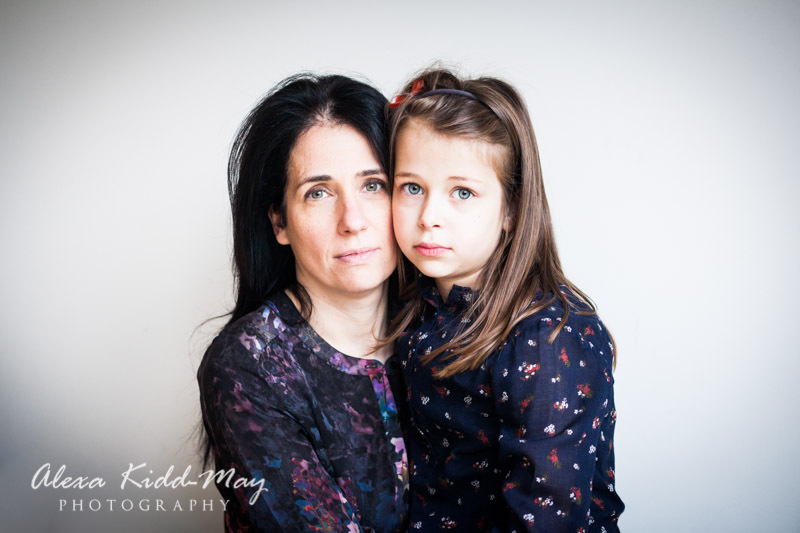 Family portrait photography is partly about the mood and partly about the interaction of the people. I like to encourage people to be themselves and do what comes naturally. Sometimes they want a little direction so I have a number of tricks to help people relax and enjoy it. What a lovely way to end the year! Here are a few images from our morning together. One of my favourite images is the last one in this blog post. I love the symmetry of how they are sitting on the sofa and the expression between the brother and sister is priceless. 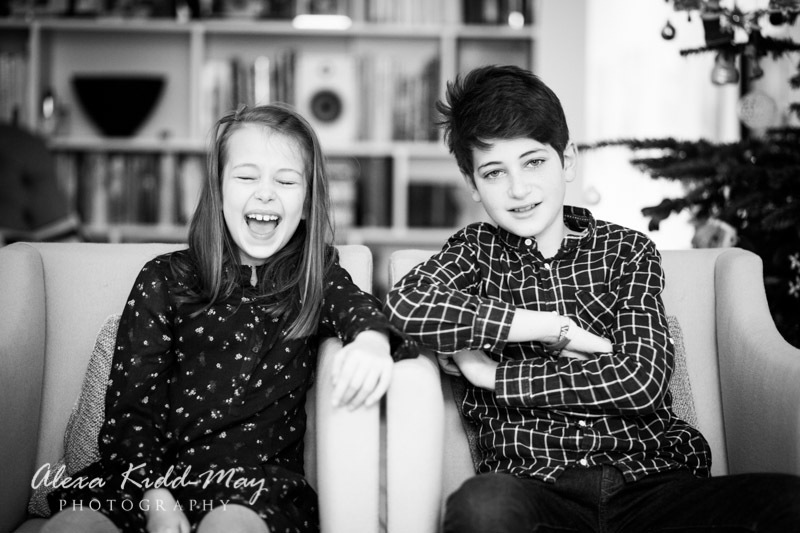 If you’re interested in booking a family photography session on any day of the year, whether it’s New Years Eve or not, please do get in touch on hello@alexakidd-may.com or 07813 816335. 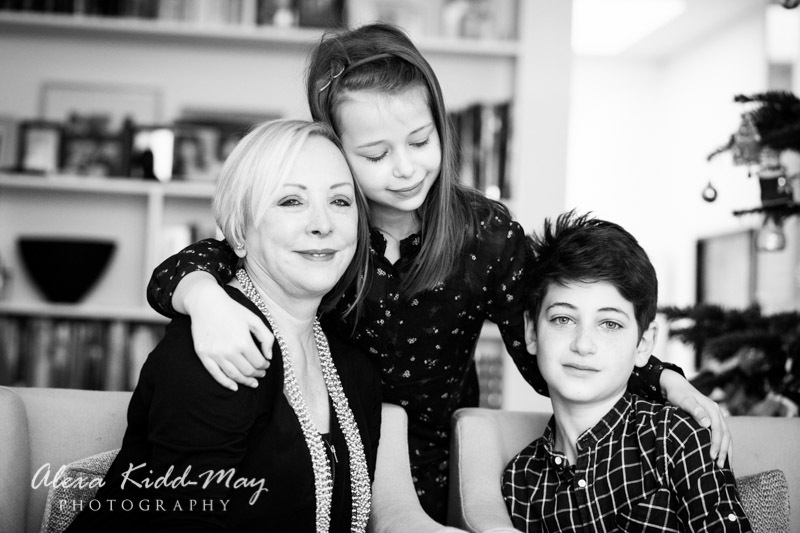 I’d love to meet your family and create some unique images you’ll all treasure forever.